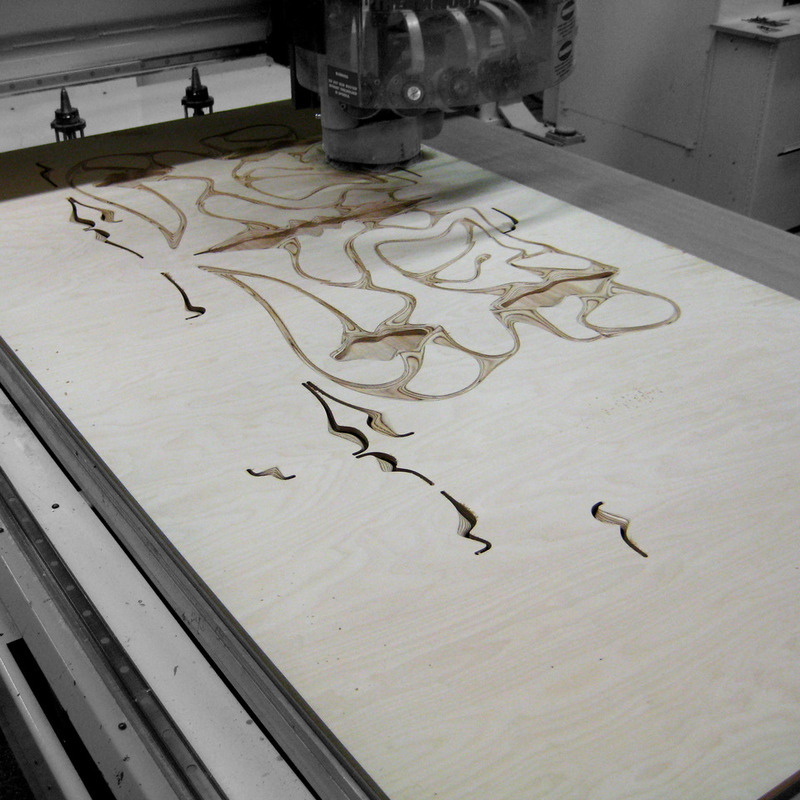 Associated Fabrication’s Thermwood CS45-510 3-axis CNC Router carving out the organic forms of the wardrobe door faces. Hyper Storage Bed and Wardrobe for the Ruicci residence in Manhattan’s West Village. Their home is the top floor of a three story carriage house that has existed for well over a century. It is tucked away behind the street front and accessibly only through a narrow dark passageway reminiscent of Edinburgh’s many closes. The tight living space and tunneled approach supplied many challenges to designing a space saving, minimal, and yet luxuriously sensual bed. Lauren is a fashion and jewelry designer with a voluptuous sense for material. Steve is a graphic designer and typographer whose sharp style adorns the walls of their apartment. The seemingly unlikely synergy of Lauren’s and Steve’s styles inspired the graphic and sensuous design of their storage laden digital nouveau sleeping platform.